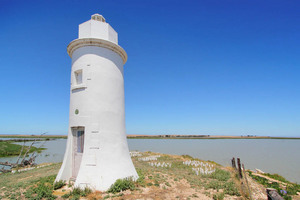 Point Malcolm is the only freshwater inland lighthouse in the Southern Hemisphere and was named after Neill Malcolm who took up 4,000 acres (1,600 ha) in the area in 1839. This was the beginning of Poltalloch Station which includes about 12 miles (19 km) of Lake Frontage. 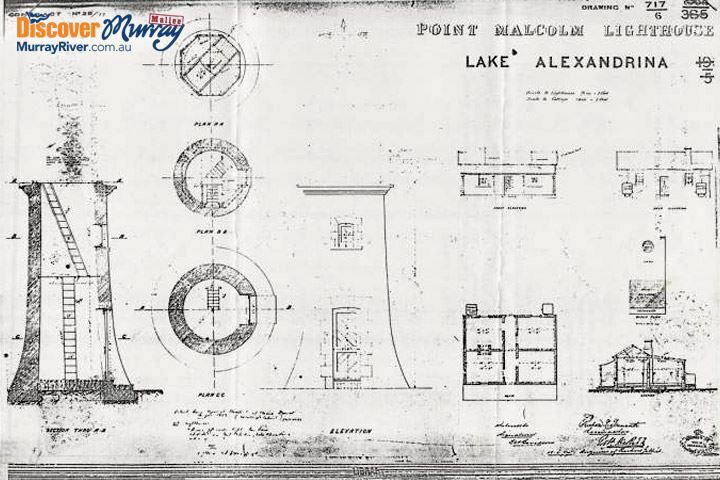 The Point Malcolm Lighthouse was built in 1878 on the eastern side of the narrows between Lake Alexandria and Lake Albert, opposite Narrung. The lighthouse was built by Richard Trenouth, a well-known builder from Strathalbyn, at a cost of £1,043 for both the tower and keeper's cottage. The light was first exhibited on 1 February 1878. Mr Geo Edmunds was appointed as Point Malcolm’s first Keeper on 8th January 1878. Mr Lyell succeeded Mr Edmunds as Keeper. In 1889 Mr F Gardener succeeded Mr Lyell as Keeper and in 1902 he took wildfowl, other birds and snakes to London and sold a pair of Pelicans for 5 pounds. On his return he took up 250 acres of land at Watson Park near Milang. The next Keeper was Mr Samuel Fowler however, dates cannot be found for his term. The keepers were self-sufficient and sold extra produce to locals. They stored excess produce in a small cave near the riverbank, which was cool and damp, while they waited for a boat to transport it to town for sale. A hole in the ground near the lighthouse dropped immediately to the cave below. The lighthouse was turned off in September 1931, due a decline in river traffic.